Hi there! 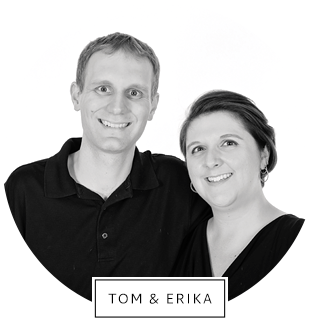 We’re Tom and Erika Pitera. We live in sunny Orlando, Florida, and started our photography business (Thomas Pitera Photography) in 2007. We started out as a product, food and drink photography studio, and since then, we’ve branched out to our true passion – pets – under our new name, Hot Dog! Pet Photography. We have two mini dachshunds at home – Lexie and Logan – and four cats named Ernie, Marty, Daphne and Ella. We love animals, so it only seemed natural to start photographing them! 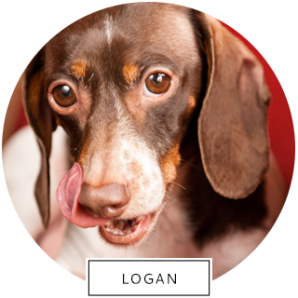 Our goal is to capture pets and their emotions in a natural environment. In 2012, we started volunteering our time with Pawsitive Shelter Photography, an organization in Central Florida that photographs shelter animals. We go to the shelter every month and have found that it’s an incredibly rewarding, and at times emotionally challenging, experience. There’s nothing better than knowing that a dog or a cat found a forever home thanks to a photo we took! Since then, we’ve also joined HeARTs Speak, which is a nationwide network of likeminded artists and photographers who wish to help animals in need. We want to thank you for taking the time to get to know us at Hot Dog! Pet Photography, and we sincerely look forward to the opportunity to create cherished memories for you and your pets. 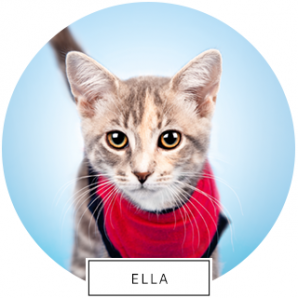 There’s nothing more rewarding to us than capturing special memories for you and your pets! We offer on-location sessions (at your home or the location of your choice) for dogs and cats. Our goal is to capture your pet’s personality, character and emotions so that you smile every time you catch a glimpse of your pet’s images!